Your customer email database is like a sea hiding treasures in it. Every time you go in it you will find something but only when you have the right strategy. Email marketing requires a lot of planning, strategizing and perfect execution. WEBIZ can take care of that while you focus on the core processes of your business. Being an SEO Company we work with content at all times. This has made us understand the art of using content to convince customers. There could not be a better place than emails for our SEO marketing specialists to use their knowledge and power of words. The more tenured your business the more emails you will have in your database. Handling such huge number of emails can be quite a task. Here at WEBIZ we possess the resources to make the most of emails. We know how to make your emails land into inboxes, not spam folders. We also know methods that will make your emails appear to your customers with images at first glance. 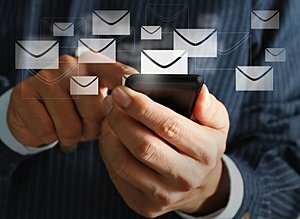 While your customers’ email database is an assortment of email addresses, we will classify them into various categories and make sure that your emails reach customers they are most relevant to. We can also help you design your emails and email forms. The forms allow you to receive more and more customers’ emails, and the email design is meant to be compelling enough for your customers to take an action. Not all your marketing emails have to go to every customer. It’s our job to categorize and form groups for certain emails and target only particular customers to make the most of your email marketing campaign. In addition to website designing we are also fully equipped with the knowledge of designing most attractive and appealing emails that will surely make even your old customers to buy more stuff from you. WEBIZ also uses various tools to automate your email marketing process so you can target more customers in less time and increase sales on your website. Our email marketing services are perfect for eCommerce websites where emails can convince customers to buy their orders if they abandoned a purchase in the middle.